King Winthrop sits like a spider at the center of the New World Order’s web of power. He has no idea that the Lion is coming. His objectives are selfish, greedy, and destructive to mankind. The devastating losses Luke has endured trigger an epiphany. He chooses to embrace his destiny and harness his true power as a Protector. The only question is, can this humble boy really save the world? 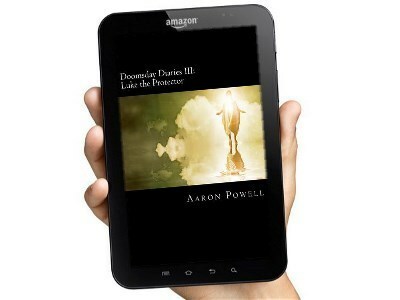 Aaron Powell, the author of Doomsday Diaries III: Luke the Protector, is simply prodigious! He has a unique talent for pulling from his life experiences, education, and razor sharp wit to create stories that will keep you mesmerized for hours! He is the author of many additional books, including the entire Doomsday Diaries series; Voluntary, C-Town, Benjamin, Sugar Baby, Scream, "Aye, Sir! ", and more! 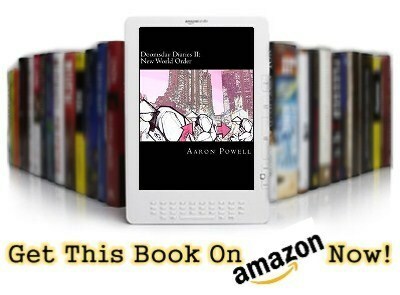 You will notice a BIG amount of Military themes in Aaron Powell’s books. This is probably because the author proudly served as a Marine during Operation Iraqi Freedom and Operation Enduring Freedom. I am confident that we ALL would like to thank him for his service! The author has a bachelor of arts in criminal justice and business administration , but it’s also important to note that he minored in psychology . Aaron Powell is a devoted family man, he loves to read, and he’s a phenomenal recreational marksman. In this book of the series Luke is a very different person. He sees people on a deeper level and people see him in an almost esoteric light. 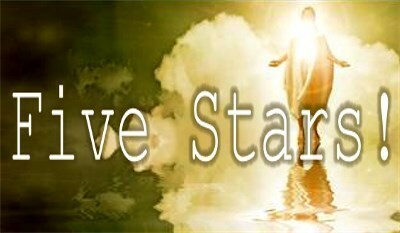 The story has many religious undertones, but it also has a message of peace and hope for the people we meet, and lose, along the journey of life. The idea that Luke has a hand in the creation of a perfect or peaceful world is a great progression of this character from his meager start as a shelter shut-in. 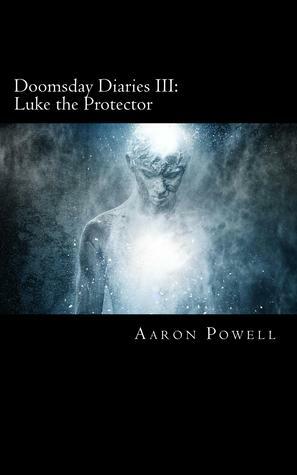 The extent of growth we’ve seen Luke experience throughout the Doomsday Diaries series, and other Aaron Powell books, allows for the reader to accept Luke’s transformation and journey into enlightenment without judgment. “"How old is this man?" I have a complaint. This is odd because I NEVER really find fault in Aaron Powell books. When Luke met Patrick Delahoyde I wish he had let Patrick know somehow his importance to the world. I understand that at that point and time it may have been difficult, or even impossible, for him to understand it fully but he was so frail, sick, miserable, and alone. He needed something to hold on to mentally. I know Luke gave this to Patrick later on, but I just don’t think that would have cut it for most people in his condition. I suffer from Secondary Progressive Multiple Sclerosis ( MS ) and I know that when I get to that point, and let’s not kid ourselves here it’s a matter of when not if, if I am to play an integral part in saving the world someone better tell my a** or I may just croak to spite you all! Lol! In retrospect, it occurred to me that this entire series pulls from a broad range of religions and will appeal to a large group of believers and non-believers alike. Mormons believe that many years ago there was a battle between the Nephites and the Lamanites. Two tribes of the Americas, one blessed and one cursed. The Book of Mormon tells that Moroni served under his father, Mormon the commander in chief of the Nephite “army”. The battle between the Nephites and the Lamanites was brutal, much like the battle between Luke’s crew and The New World Order. Ultimately good did not triumph over evil and Mormon, along with many of his men, were slaughtered. The scene reminds me of Luke’s loss of his parents. Mormons last command was for Moroni to flee the battle in an effort to protect the Nephite record, basically a big diary handed down generation to generation to preserve history. Moroni was the only Nephite to survive. Moroni eventually settles far from the bloodshed in what is now Wayne County, New York. Similar to Luke’s epiphany, Moroni realizes his part in shaping the future. Moroni records in the journal about the battle, his personal conversations with Jesus, and the visions of the future God shared with him. Upon completion of the record that he has added to this historical journal, words that he literally engraved onto golden plates, Moroni buried the plates in a stone box in a hill, where they were recovered many years into the future by Joseph Smith. Moroni was the last prophet to write in the Book of Mormon. Luke’s journal plays a very front and center role in the ongoing story of the Doomsday Diaries series. I have to wonder if it will be the record, one day, of the great battle(s) of history or maybe even the official religious text of a new religion. Not many people know this, because I don’t exactly brag about it, but I am a Registered Minister. It started out as a joke, as I was originally ordained into The Church of SPAM after a long night at The Rocky Horror Picture Show. But as I got older I had more and more reasons to get serious about my ordination; friends wanting me to officiate their weddings, free parking at the hospital, tax breaks, store discount programs, you get the picture… anyway, I am always looking for new and inventive ways to do ceremonies and I LoVeD the impromptu words Luke used for Duffy and his Bride. I am so stealing some of this speech for the next unconventional wedding I perform. I am primarily asked to do hand-fastings and elopements so a lot of this speech will fit perfectly! It breaks my heart that the Duffy character gets married. He is so incredibly hot, HOT, hot! ALL the single ladies out there have to be broken hearted! I know his characters “looks” weren’t really explained in great detail in this book, but other books have hinted at his masculine physique and this story shows some of his fearlessness as he stands up to the dreaded Winthrop and his Army! 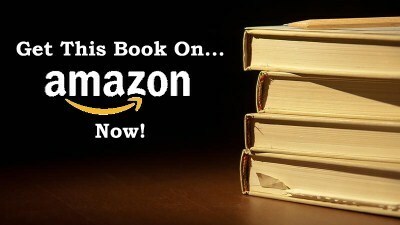 I HIGHLY RECOMMEND this book, and ALL Aaron Powell’s books! Now remember, this is a series! ALL the books in the Doomsday Series combine to create an incredible story, but they also can be read as stand-alone novels as well. I would recommend reading the series, and also checking out other Aaron Powell books to keep up with your favorite characters! Make sure you let me know what you think when you’re done reading! What if? What if this empire we have amassed really is doomed? Let’s face it, it is doomed. No empire lasts forever. Even America will end. The world is ending. Mom is worried about saving the pictures, Dad is concerned about how to get you (and the rest of the family) to the bunker, and you are worried about saving the dog! The Mitchell’s had to evacuate immediately, no time to scramble around the house to find things, and so they took their bug out bag (B.O.B. ), a few special items, and supplies and fled for safety. Life in the midst of the Apocalypse isn’t all bad, or is it.? Growing up underground isn’t all it’s chalked up to be. Luke Mitchell’s parents provided him with a journal to record what it was like to survive doomsday and grow up in a fallout shelter. The years passed slowly and their supplies dwindled more and more each day. Luke Mitchell, now a teenager, wanted nothing more than to leave the shelter. Luke was getting older, he had.. well… needs! Needs he was unable to satisfy deep beneath the earth’s surface. When the time came to leave the bunker behind Luke was ready! It’s like he had trained for this his whole life, and in a sense he had, but the Mitchell’s were in for quite a shock! I HIGHLY RECOMMEND this book, and the entire series! Check out My Review of this book on GoodReads! Luke Mitchell struggled to find what was left for him in this world. He had never been this lonely before, and now it was consuming him. Love hurts, but the New World Order (NWO) hurts more! They say knowledge is power, but knowing about the existence of the New World Order (NWO) is both jarring and life-changing. Once they were revealed to Luke there was no going back. He would have no chance of ever seeing the world the same way again. Doomsday Diaries: Vol. II by Aaron Powell reads like an action packed post-apocalyptic love story. It is the inner struggle of a young boy forced to become a man, all the while learning about what love really is. 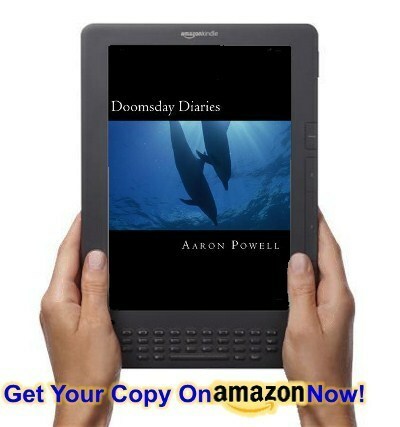 Sign into Goodreads to see if any of your friends have read Doomsday Diaries III.